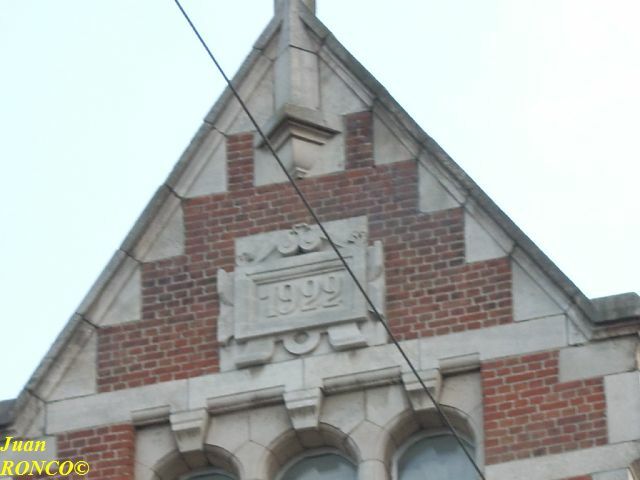 In this post the reader will find a number of interesting pictures. 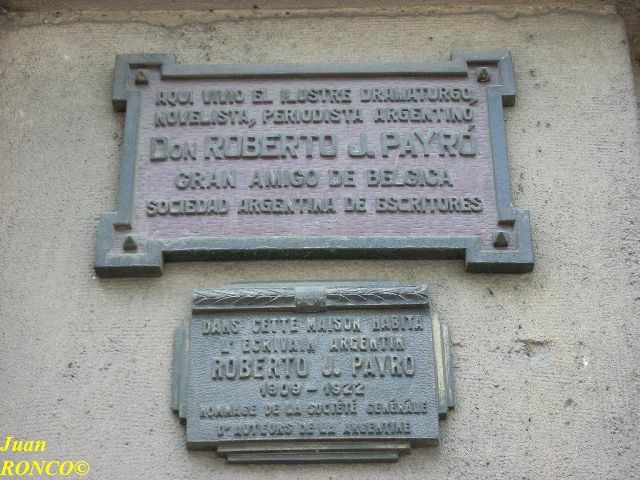 One of them shows a plaque indicating the house where Roberto J. Payró lived in Brussels from 1909 to 1922. 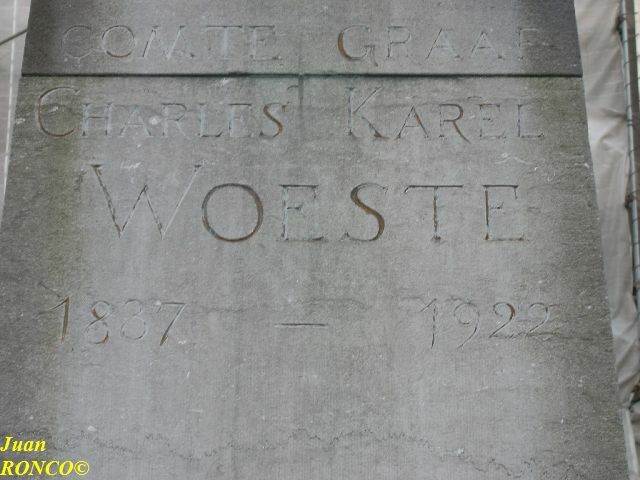 He was correspondent for an Argentinean newspaper and covered World War I while in Brussels. 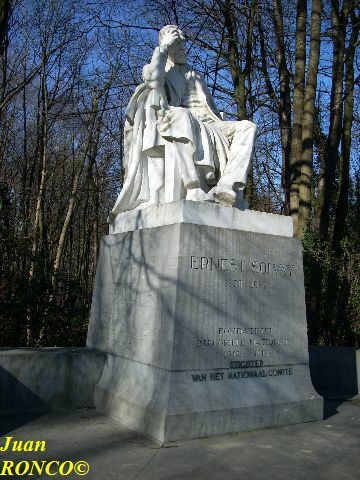 Another prominent Belgian figure who died in 1922 was Ernest Solvay. 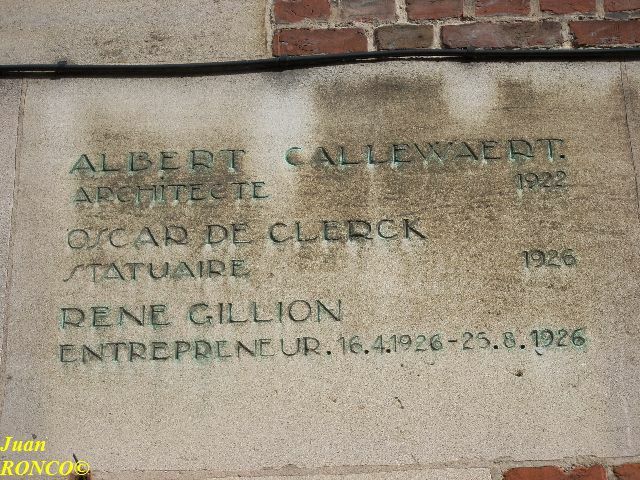 He was an industrialist who founded the Solvay Group. 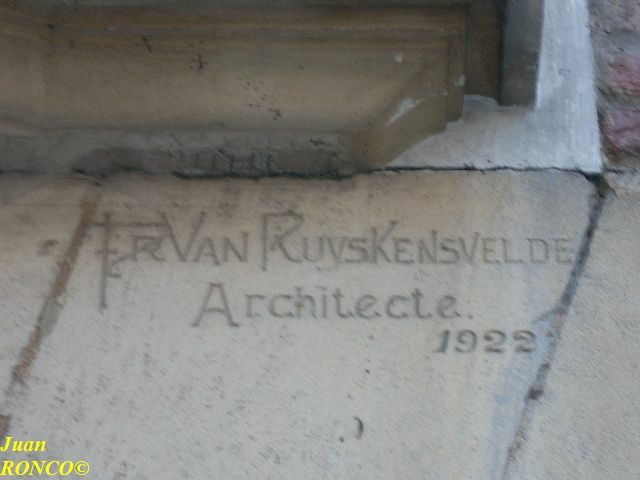 He became very much involved in the advancement of sciences (see my post on 1911, year of the first Solvay Physics Conference). 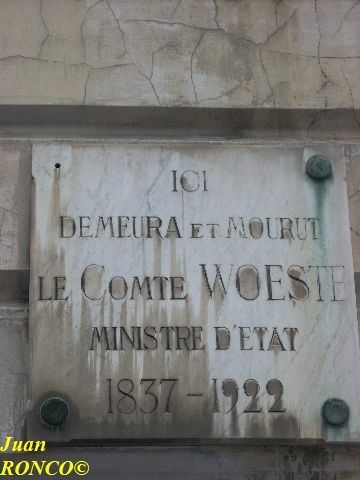 In the monument that apperars in this post he is remembered as the founder of the Comité National (1914-1918). 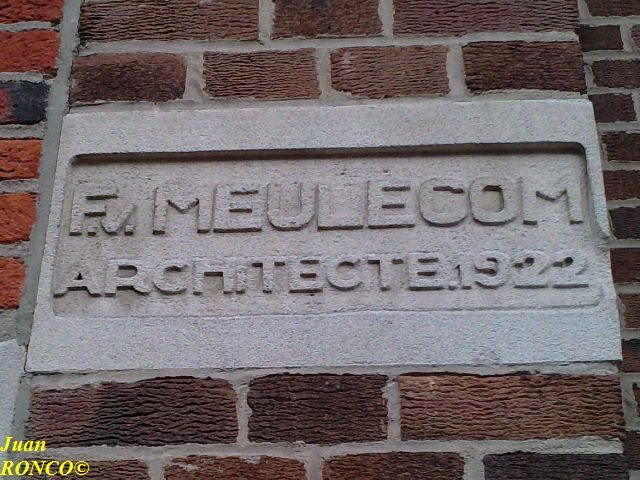 The “Comité National de Secours et d’Alimentation” (Committee for Relief in Belgium) was the organisation, set-up by a number of prominent Belgians, to provide food to the Belgian population during World War I. 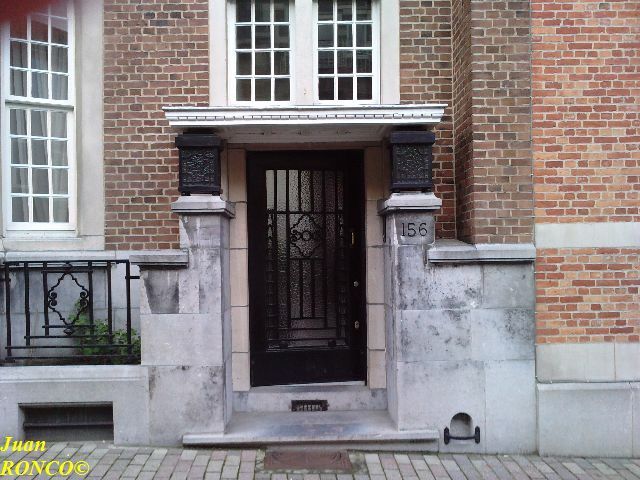 There is a another monument to E. Solvay in the neighbourhood of Solvay’s headquarters in Brussels. 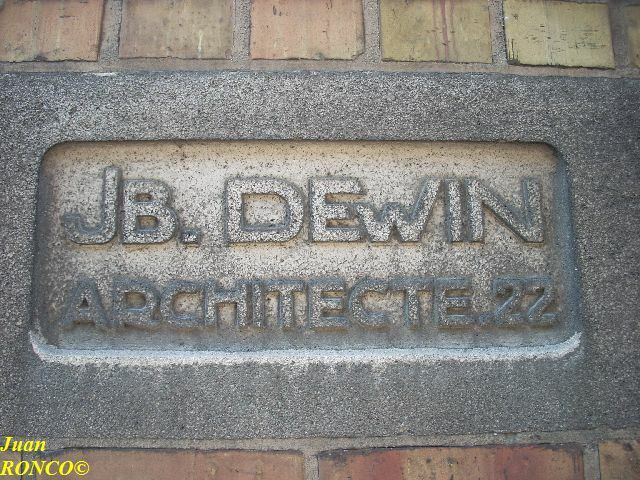 This entry was posted in Architect, Dewin and tagged 1922 on 22/08/2012 by roncozapatero.